Salem: Beckett runs to his owner, Daniel O'Connor of Boston while playing in the snow cover Salem Commons Saturday afternoon. 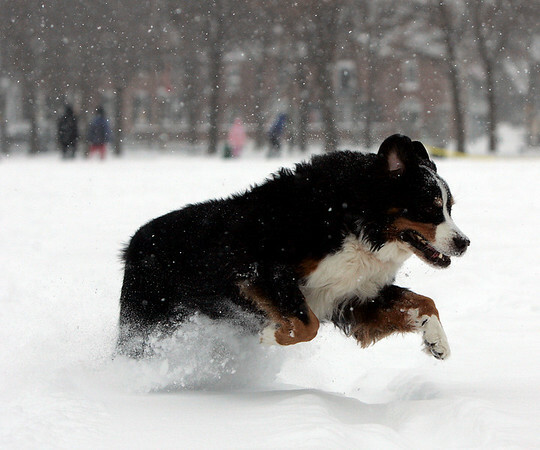 "This dog loves snow more than any human I know," said O'Connor. Photo by Deborah Parker/Salem News Saturday, December 20, 2008.